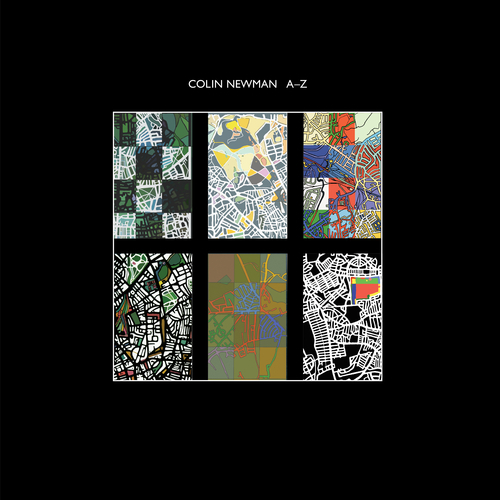 In 1980, Newman released his debut solo album A-Z, which, as the title suggests, offers up a wide spectrum of musical approaches and sees multiple envelopes being pushed. Now, for the first time, the album has been completely remastered, and is augmented with an additional disc of bonus tracks, including out-takes, alternate versions, B-sides, demos and home recordings (CD version only). A-Z picks up exactly where Wire’s classic first three albums left off. In fact, Newman’s debut is one of post-punk’s great lost masterpieces, mixing slanted lyrics, fizzing analogue synths and Newman’s trademark angular guitar work. Highlights include the bass propelled stomp of album opener ‘I’ve Waited Ages’, which features heavily distorted guitar loops and some seriously bizarre lyrics which could give Spike Milligan a run for his money. Whilst the Syd Barrett on steroids mania of ‘S-S-S-Star Eyes’ sees Newman constructing a strangely catchy song from just one note, around which are woven numerous counter melodies. Elsewhere, the melancholic and brooding ‘Alone’ (which has text by Wire’s Graham Lewis) propels itself into view with such majestic menace that it would later earn a well deserved place on the Silence of the Lambs soundtrack. Despite the unforced experimentation, tracks such as ‘Inventory’, with its brisk guitar and synth stylings, prove that Newman never lost touch with his ‘pop side’. As the NME review of the time so accurately observed, A-Z is “An album in which experiment and accessibility co-exist”. The CD only A-Z bonus disc includes an additional 17 tracks, only four of which have previously been released. The demos recorded at Riverside Studios are a revelation. Without the more obvious studio interventions of their final incarnations, tracks such as ‘But No’ and ‘The Classic Remains’ offer startlingly different takes on the material. Perhaps the biggest surprise is the demo of ‘Life on Deck’. Whilst the album version is heavy with absurdist punk abrasion, the original comes over as a piece of hook laden guitar pop. Other treats include the poignant ‘Alone on Piano’, which does exactly what it says in the title, and one of Newman’s great lost songs ‘Not Me’, later covered by This Mortal Coil on their epochal album It’ll End in Tears. Meanwhile, Newman’s original lo-fi home demos present the songs in more stark, experimental form. A-Z shows Newman at the height of his powers, fashioning music which sounded utterly unlike anything else at the time. Or indeed since. A–Z CD 1 Performed by DESMOND SIMMONS, ROBERT GREY, MIKE THORNE, COLIN NEWMAN and CHARLES BULLEN (clarinet, Track 7). Producer: MIKE THORNE. Recorded at Scorpio Sound (London). Engineers: DENNIS WEINREICH and STEVE PARKER. Original paintings by COLIN NEWMAN. Paintings and design re–imagined by BEN NEWMAN. A–Z CD 2 Tracks 1–9 performed by DESMOND SIMMONS, ROBERT GREY, COLIN NEWMAN. Recorded at Riverside Recordings (Chiswick). Track 10 performed by MIKE THORNE and COLIN NEWMAN. Recorded at Media Sound (New York). Track 11 performed by DESMOND SIMMONS, ROBERT GREY, MIKE THORNE, COLIN NEWMAN. Recorded at Scorpio Sound (London). Tracks 12–17 performed by COLIN NEWMAN. Recorded in West Norwood.